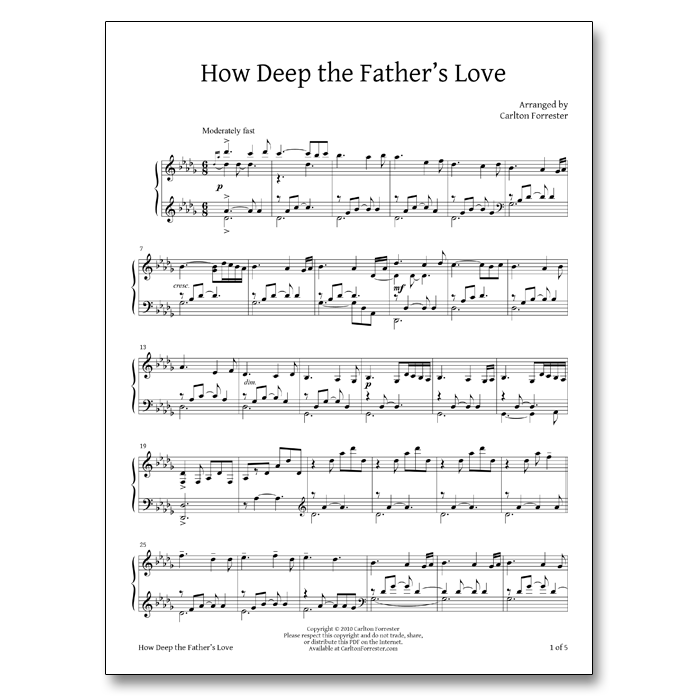 This is the sheet music for “How Deep the Fathers Love For Us” as arranged and performed by Carlton Forrester. Beautiful. My baby girl will be walking down the aisle to this. I honestly do not know how you can play these types of songs by memory! It is amazing! Keep it up. Please. 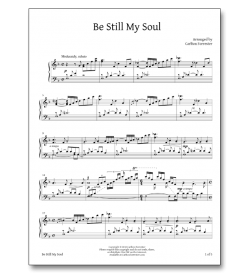 This song is great and I find it very different from your other arrangements. It is beautiful! Thank you so much for letting people like me buy your music.